To make Pakistan descend into chaos without any reforms," he said, adding that India did not want an inside political reform movement to succeed, Imran Khan said. A file photo of Pakistan Tehreek-e-Insaf chairman Imran Khan. 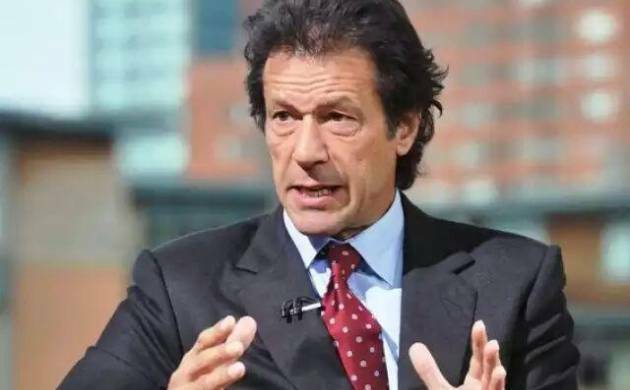 Cricketer-turned-politician Imran Khan today claimed India was trying to "implode" Pakistan and sabotage moves against corruption. "A new doctrine has originated in India which aims to implode Pakistan because they have failed to defeat us militarily," Imran told reporters outside his residence in Islamabad before leaving for Quetta, where Islamic State (IS) militants attacked a police training centre. "...to make Pakistan descend into chaos without any reforms," he said, adding that India did not want an inside political reform movement to succeed. "Whenever we plan to launch a reform movement against corruption in the country such terror attacks happen," he added. "His only aim is to save himself from the repercussions of the revelations regarding his corruption in Panama leaks," Khan said and demanded the government to highlight the names of those officials who were involved in leaking the crucial information regarding a high-level security meeting.